The Grant Life Cycle provides an overview of the entire proposal submission and administration process. 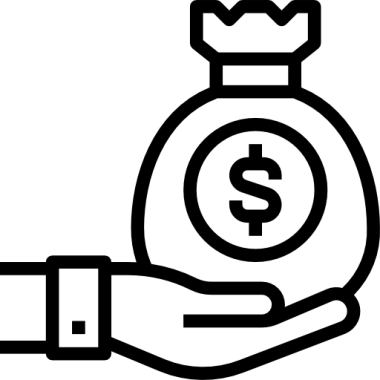 It helps you to understand policies and procedures and walks you through the steps from identifying funding opportunities to applying for and administering grants. Utilizes various resources to research grant opportunities. 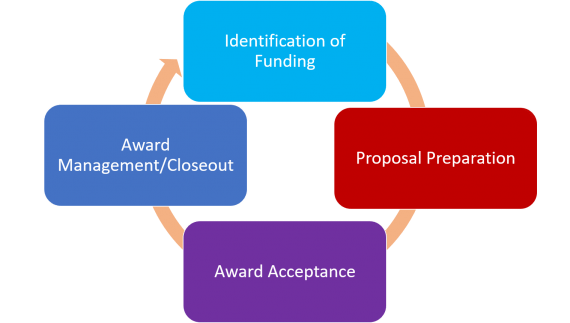 CFR also works closely with the Office of Research Administration and Development (RAD) to coordinate, process and approve grant proposals. All applications submitted by faculty, students, and/or staff at Tufts must be reviewed and approved by the Pre-Award office prior to submission. The Central Pre-Award office is the only entity authorized by Tufts to sign proposals for sponsored projects. CFR closely monitors university-wide activity with several major foundations and corporations, where the funder limits the number of proposals, has other stipulations, or may be in sensitive major grant conversations with the university. Principal investigators must contact the CFR office before submitting a letter of inquiry or proposal. *If denied funding, please still contact CFR so that the notification can be recorded and follow up can be conducted, if appropriate. CFR assists with the narrative portion of the mid-term reports and can communicate with the sponsor on your behalf during the life of the grant, if necessary. Post-Award is responsible for managing financial transactions during the life of a grant or contract. These include: Monthly budget reviewing, progress reporting, time and effort reporting and sponsor invoicing. At the completion of the grant, the Award Closeout begins. CFR assists with the narrative section of the final performance report and Post-Award with the financial section. Contact the CFR member assigned to your school for assistance.